People on this site are used to “new products” and are rightfully suspicious. Can you state that you are not related to this company in any way? my first post was to tell people that i am finally using something that’s working. i don’t care what the website looks like. the product does not promise to work that fast so i wasn’t going to bother taking pics until last night. i was actually very surprised to see any progress. as for the ingredients, whatever they are, they work. its how you mix them up my friend and the process that goes into making them. you don’t have to be a rocket scientist to figure that one out. as for the quality of the website, what does it matter - this one is pretty basic in itself. i respect everyone’s right to their opinions however. And you, although critical were very respectful in your response to my post which I appreciate. Here are the pics. can’t wait to see after a few more months which I will post as well. sorry for couple sideways pics. couldn’t get them to rotate for some reason. » Can you state that you are not related to this company in any way? » Where are your pictures? » » » ingredients are listed on the website so you can check for yourself. So what’s in the stuff? » » Can you state that you are not related to this company in any way? » » Where are your pictures? » » » » ingredients are listed on the website so you can check for yourself. » » » no color yet, but I was excited because I could see it working. I don’t believe the statement “It’s not the ingredients it’s how you mix them up”. » » » Can you state that you are not related to this company in any way? » » » Where are your pictures? » » » » no color yet, but I was excited because I could see it working. Those results are very impressive. I guess I will have to wait and see how far I get with this stuff. But I will tell you thats its common knowledge that ingredients are listed on many products and have been around since the beginning of time. There is ingredients and there is formulation which are two separate entities. It definitely IS what ingredients you put together (remember ALL ingredients already exist), how much od each you use and how is is processesd. Obviously you have come up with a good mixture because you habe great results. could you elaborate on how you got those results? Cool. I have to look it up. So far the zx42 seems to be working. I will check out profollica. Do you know what ingredients it has? I am going to take a pic everday for awhile and then make a time lapse video. I think it will be a neat way to see the progress. 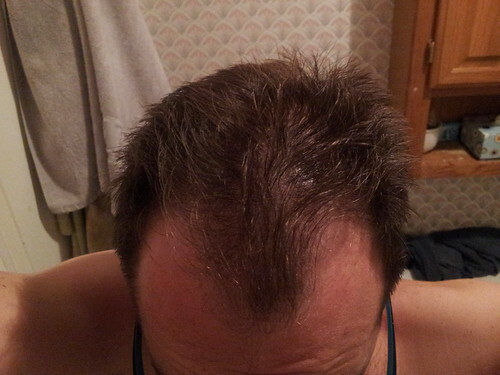 I have a coworker whos wife works for J&J and gets free rogaine. So far he hasnt had much success after almost a year. Www.hairfuelonline.com is having a sale this weekend that ends at 12pm sunday. If you purchase a 3 or 6 month kit, you will receive 1 month of topical for free. I have been on the product myself for less than a month and I have new hair growth starting. 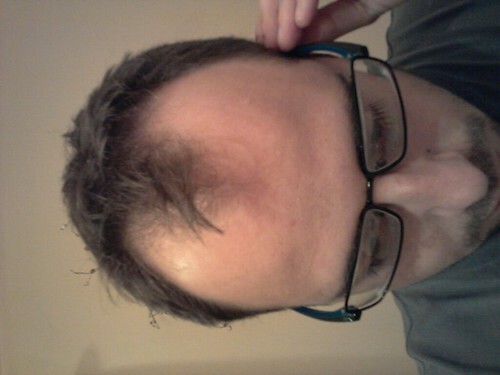 Its really fine textured right now with the growth closest to the existing hairline being the thickest. 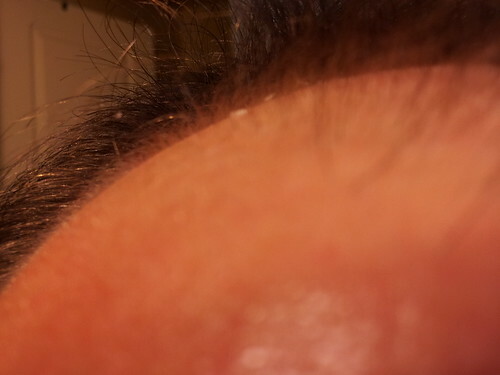 If you visit the photos page on the website, I am the first guy on the page and there are a few scalp closeups to show you what I am talking about. Thanks. 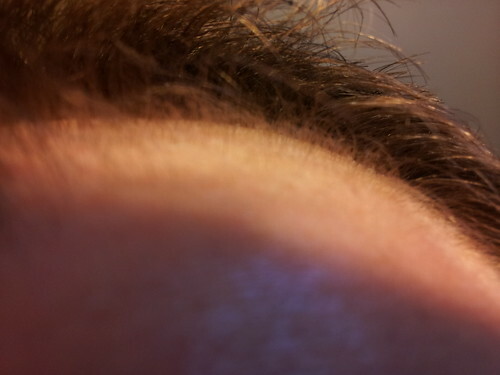 » there are a few scalp closeups to show you what I am talking about. Thanks. Oh please, save the sales pitch, can you honestly say that you have absolutely nothing to do with the company and you derive no gains from this whatsoever? No free products, money, commissions, or any benefits from promoting the product? Are you the owner or related to the owner etc etc? » promoting the product? Are you the owner or related to the owner etc etc? 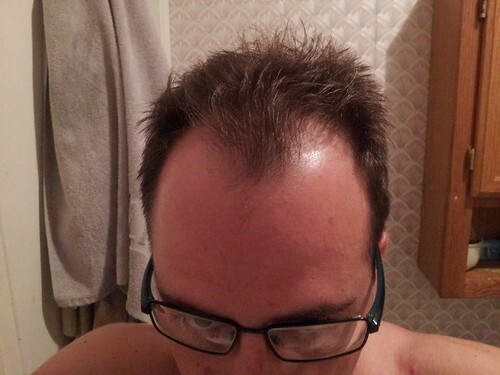 He’s posting in a # of hair loss forums. He has his own website on this…something he failed to tell ppl in the beginning. Why he’s not being banned is…amazing. some peach fuzz, a lot of products can do that, I am not impressed. 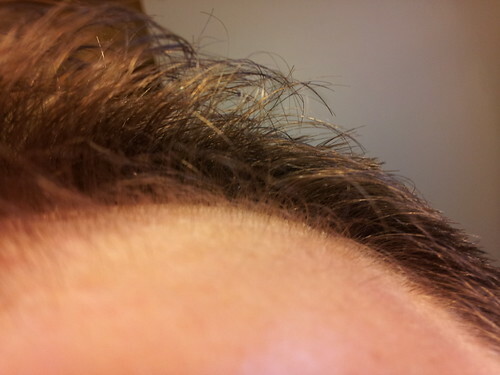 If I want peach fuzz, I just go and buy myself a bottle of Rogaine. » want peach fuzz, I just go and buy myself a bottle of Rogaine. I am not here to deceive anyone. I AM using the ZX42 product. I am posting as I go along. the rest is up to anyone else to decide. If I really was someone out to rope people into something, I would have immediately posted a picture with a ridiculous head of hair next to one with nothing. Instead I posted the realistic growth I have received after a few weeks. » I posted the realistic growth I have received after a few weeks. As others have pointed out in other forums as well…you did divulge that you had a website to push the stuff when you first started posting as just a “customer”. Your posts were deleted at Hairlossfight for that very reason.